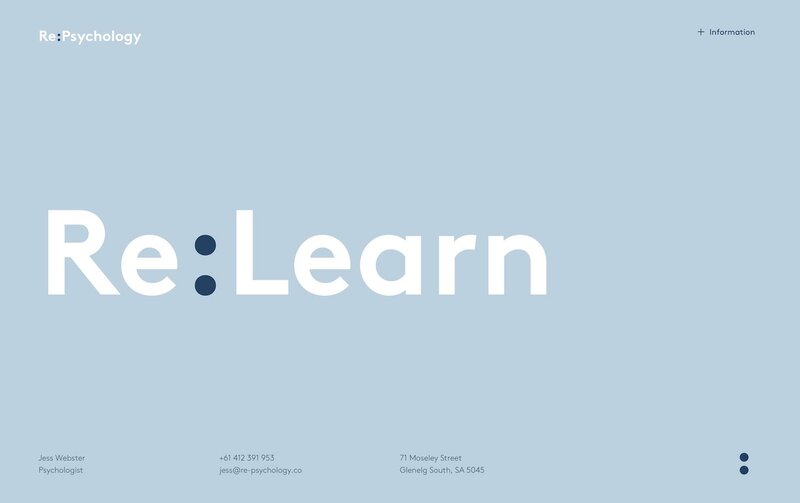 Re:Psychology is a new Adelaide-based Psychology clinic operating in Glenelg South. The founder, Jess, needed a brand new web presence, and approached local Adelaide graphic designer Ben Ramsey to deliver what needed to be an eye-catching and engaging, yet full accessible experience. Ben and Scott Reynolds, after working many projects together previously, teamed up to deliver the website experience required. As Ben had done most of the design work prior to development beginning, the process was even more streamlined and efficient than would be otherwise possible if starting from scratch. This enabled the new Re:Psychology website to be completed, and live, within two weeks of development beginning. 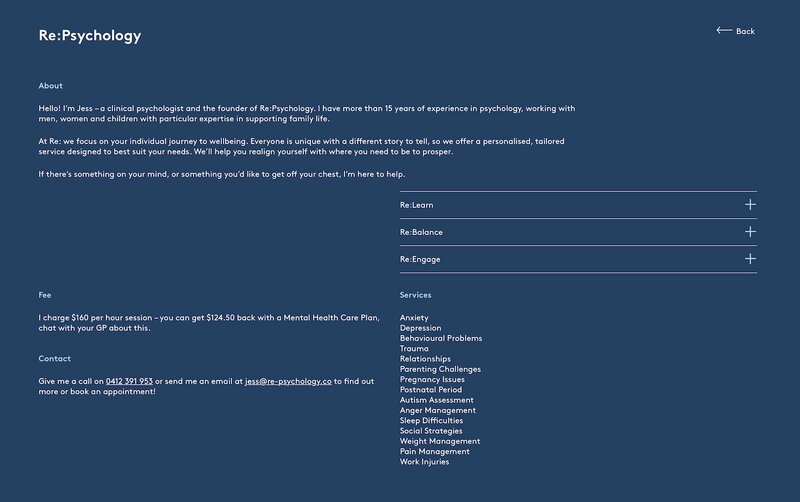 Apart from needing to be fully responsive, easy to navigate, and utilising modern HTML5 and CSS3 technologies, the site had to be easy to update by Re:Psychology so that they could easily make changes to the information, update pricing details, or change contact information as required. For this project, as with many others displayed here, WordPress was chosen as the back-end Content Management System (CMS) to enable easy-to-update functionality from Day One. The site was completely custom built to fit the unique design requirements, and this allowed WordPress to spread its wings – utilising custom post types for managing the data behind the scenes, but delivering it in an easy and straightforward manner. If you’re looking for someone to help you on your own journey to mental wellbeing, or just want to have someone to talk to/listen to something you need to get off your chest, give Jess at Re:Psychology a call (or email) today to start a conversation.